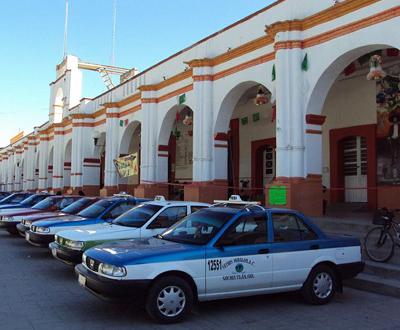 Taxis are widely available and can be called directly to Casa Raab within one hour. Typical cost to or from Oaxaca is about $10 usd, and a ride to the airport is about $45 usd. Rentals are a good idea for La Casita renters, small groups or as an additional utility for a larger group. Check with us or Google for current companies operating in Oaxaca. Shop for prices and keep it low. Insurance, as usual, can be very expensive and may not cover things like scratches and dents and "acts of God". Check the details on your contract and go over the car carefully, noting all previous damage. Touring usually takes place in rental vehicles; large or small... anything from a taxi to a tour bus. We can help organize any type of tour that you would like. These can range from simple visits to potters and wood carvers to extended adventures exploring remote mescal distilleries. People living in northern Mexico frequently drive to Oaxaca. It takes about 7 hours from Mexico City so plan on a long drive and a truly beautiful trip, ending with a welcome dinner at Casa Raab. 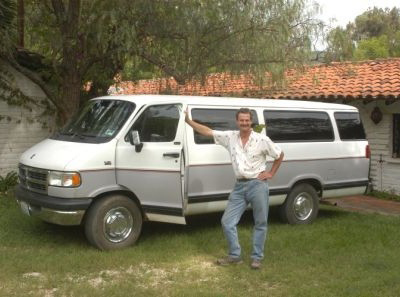 Once you are in Oaxaca a personal car is a great convenience.